​One of our core beliefs is that the secret to good security is to keep it a secret. That's because security is much harder to defeat when you can't see it and don't know what you're up against. Our custom made high-security FE/BR doors and windows can be designed to look like just about anything, including unique wood stains, 3D millings, and custom shaped glass. We'll ensure that the only person who knows you've got a high-security door is... you. - Easy installation can be performed by any licensed installer or GC, no specialized training or tools needed! Mul-T-Lock's interactive bump and pick resistant cylinders are a natural fit in our doors. Mul-T-Lock keys cannot be copied and even the installer's green key is automatically deactivated when the home owner starts using the yellow key. A master red key deactivates all others if any yellow keys are lost or stolen, providing the ultimate in security and key control. The Fiam X1R motorized locking system is the most sophisticated and secure electronic lock on the market. Locking in three directions with up to 20 bolts, the X1R can be integrated with keypads, biometrics, card readers, or any other access control system. Never again will you ask yourself "did I lock the door?" because the X1R ensures that your door is always secured. The Mottura 85 series armored mechanical multi-point lock is one of the most robust and durable locking solutions in the world. 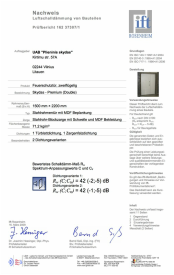 It secures the door in three directions with up to 20 bolts and has a unique patented design that protects the high-security cylinder from attack. Fingerprint scanners offer the ultimate in biometric security. They are convenient, affordable, safe, and reliable. The scanner analyses each fingerprint swipe to provide a unique thermal signature and a special code to open the door. Up to 99 different fingerprints can be stored, and adding or removing authorised fingerprints is easy.